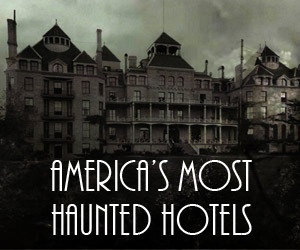 Home » Haunted News » Bucoda: Haunted House or Haunted Town? Yes! 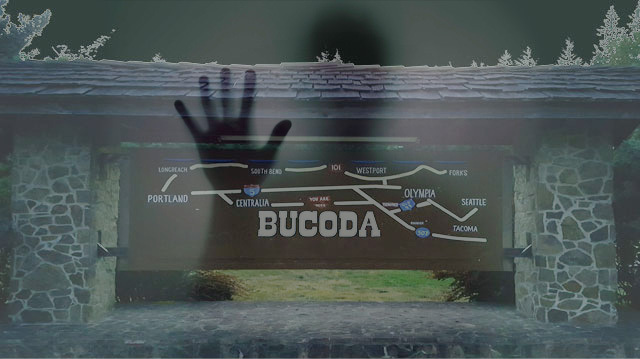 Bucoda: Haunted House or Haunted Town? Yes! Roughly 20 miles south and east of Washington’s capital city of Olympia sits the old mill town of Bucoda. In the best way, this a town of yesteryear. 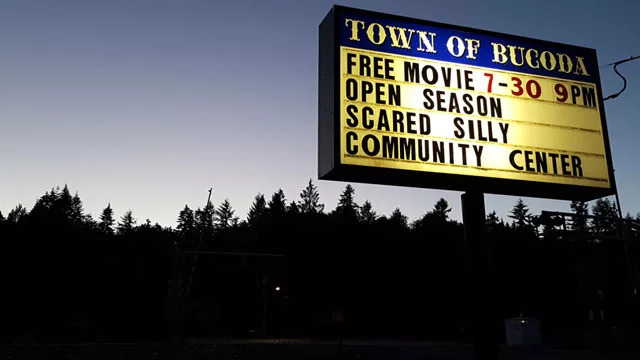 Population 562 with hundreds of stories to tell around the campfire, town hall, or in one of several purported haunted spots around town. 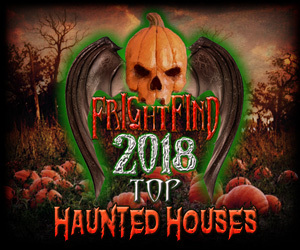 Whether it be the park, where tales are told of flaming trees; or near the site of the former first Washington Territorial prison that has stories of apparitions of former inmates; or the site of the Scary-Nights Haunted House located in the old 1939 high school gym. 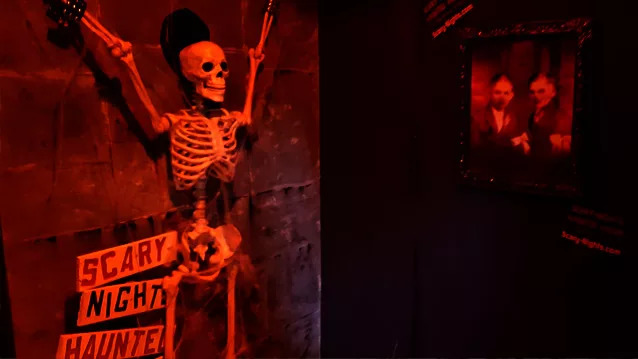 Bucoda is clearly a perfect place to get your spook on. The original name of Bucoda, dubbed by settler Oliver Shead in the 1860s, was “Seatco,” a Native American word for Evil Spirit or Devil. Understandably, the name was later changed to the present Bucoda by borrowing from the names of 3 local investors: Buckley, Coulter, and David. But the DIE had been cast: the original name, even though changed, has stuck. Tales are told of the administrators who ran the prison that was dubbed “Hell on Earth.” The harsh conditions on the inmates have left a lasting impression on the jail. Several sightings of the ghosts of inmates at the facility have been reported. Many living near the old facility will have a story that reeks of the paranormal. 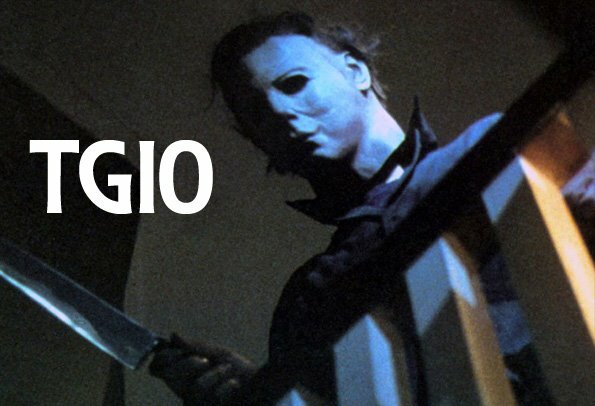 Entering it’s 5th year, the Bucoda Scary-Nights haunted house is getting into a groove. In the first couple of years, the organizers relied on the talents of their live actors. Now, more props, an updated layout, and many more animatronics are in use along with those talented live actors. 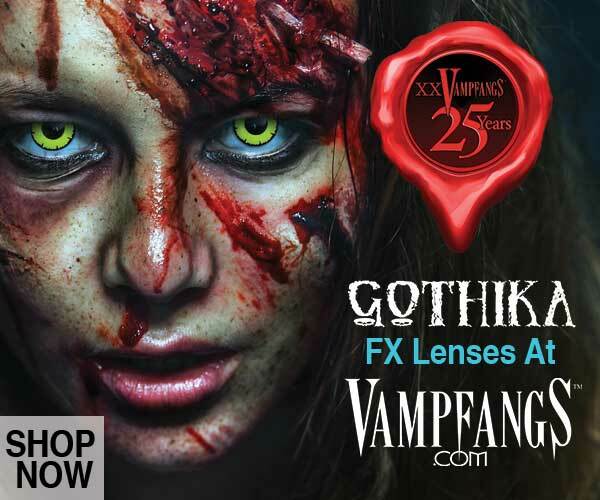 The audience will tell you that the owners do a horrifying job of setting the tone and prepping you for the scares ahead, but it is also a safe atmosphere that can be fun for the whole family. The 1939 gym, which houses the Scary-Nights haunted house has actually been investigated for paranormal activity. The investigators visited the gym, took EVPs, and scoured for evidence, but in the end they didn’t find what they were looking for. 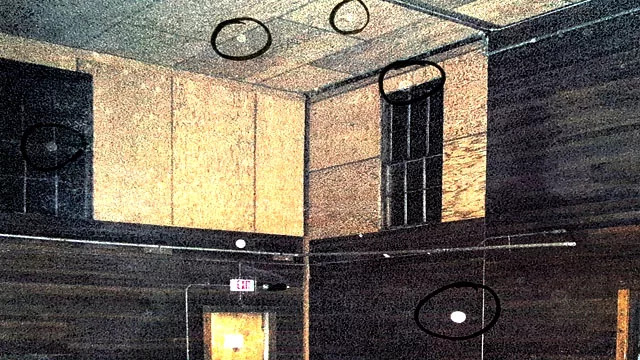 However, upon further investigation of their material, the investigators sent this picture to the Mayor of Bucoda which has 5 orbs circled by the team. Noises and footsteps are often heard when nobody else is around. People have reported they feel like they’re being watched and doors open and shut by themselves. All could be explained, but the orbs are another matter. The town and anyone that spends a decent amount of time in the building are convinced this place has some paranormal ties. When the prisoners came in from work, the sight and clatter of chains was deafening and damnable, nearly all being in heavy double irons, riveted to their legs, wearing them day and night, sick or well, all the time. The Bucoda train tracks and prison have left an eerie spirit on the town. The conditions that the prisoners of Seatco Prison lived under were harsh. They were forced into treacherous labor conditions and many did not survive. 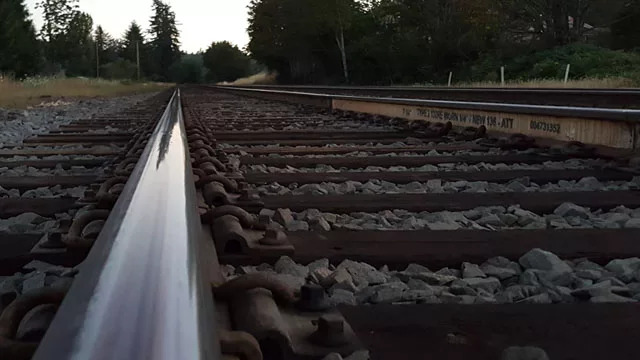 The train tracks have seen derailments and several deaths. The 1939 Union Pacific derailment of a passenger train that hit and killed the driver of a logging truck also resulted in several passenger and train crew fatalities. Both of these stories have surmounted to reports of seeing ghostly shapes and figures on the tracks and many home owners near the old prison will comment their house has some sort of paranormal activity associated with it. I lived in Bucoda and had very strange happenings in our home growing up. One of the things to look for while in the Scary-Nights haunted house is Abby, a famously precocious doll. Abby often stays with Rosemary, one of the managers of the haunted house. Depending on Abby’s mood, she may give you the chills, or just give you the cold shoulder. You see, Abby lives at the house year round, but she starts getting really excited to scare around Halloween. A couple years ago, a visiting artist was painting murals on the walls of the haunted house’s maze, he started to get the distinct feeling he was being watched. He kept looking around and yelling for whoever it was to come out, but no one was there. He tried to shrug it off, but then he heard giggling and someone or something running across the floor in the old bleachers above him. He bolted, and said he wasn’t going back there alone. Rosemary found Abby, who hadn’t been brought there by anyone, and decided to give her a place of honor near the front of the house. The doll is believed to be spooked and has said some statements that aren’t necessarily normal doll behavior. Simply put, visit Bucoda at your own risk. Come for the Scary Nights Haunted House. Stay for the Bucoda Hauntings! I lived in Bucoda years ago and never knew this story. I have family living there now .